It cannot be denied that we often find skincare routine a troublesome routine to adhere to on a daily basis. Thus, we often skip them altogether and prefer to just rinse everything off with warm water. However, this is not good practice as taking care of your skin (face and body included) is crucial in maintaining that youthful healthy glow. You do not want to look older than your age right? So no matter how busy you are in life with work and other responsibilities that come your way, we have prepared you a simple skincare routine that any busy girl can do. Okay, this is an important step no matter how lazy you are. Cleanse off that makeup, dirt and excess oil from your face with a facial cleanser. Nope. Only warm water will not do you good. Facial cleanser helps rinse off from deep within your pores and will make you feel more refreshing afterwards. Find a facial cleanser that suits your skin type and wash your face twice a day with it. If you are lazy to apply toner, no worries as you can go forward with a serum. Serums are lightweight in texture and help to keep your face hydrated throughout the day or even at night while you sleep. Serum help prevents regular breakouts from happening. As you lay down in bed at night after taking your refreshing shower, put on a face mask sheet while reading a book or watching television or even while looking through your phone. Leave it for 15 minutes and you are done. This will make you feel relaxed and keep your skin moisturized until you wake up the next day. Yes, taking a bath or a shower to rinse off will probably seem enough but try to use a nice body sponge to scrub body soap onto your skin. This helps remove all the stubborn dirt as well as dead skin cells leading to a more flawless looking skin. 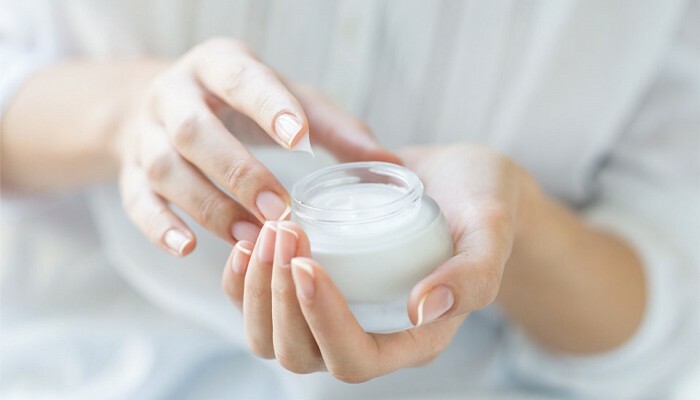 As soon as you freshen up after your shower or bath, splatter on some moisturizing lotion onto your body such as your arms and legs. Do this as soon as you step out of the bathroom as your skin is damp and easy to extract the moisture from the lotion. This will make your skin feel smooth as you wake up in the morning. So what other skincare routine do you have in mind for busy ladies? Feel free to add it down below.